The Handwriter’s Shape Builder is the ultimate graded tactile, kinaesthetic and auditory approach to the mastery of shapes, which are a foundation pre-handwriting skill. The mastery of these basic shapes is a precursor to letter formation and handwriting. 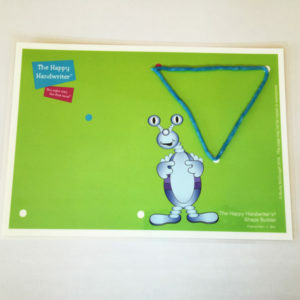 This dream package comes with 10 double sided A5 laminated shape cards with delightful alien’s that are going to wow both you and your child. 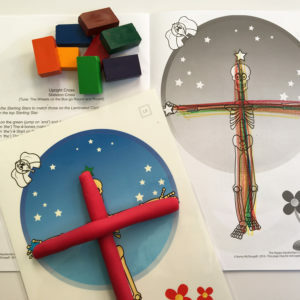 On the first side, starting on the starting dot, your child uses their Wikki Stick to build the shape over the model on the card. A shape formation song accompanies the building, which assists in the laying down of the shape formation pattern in the brain. No child or adult can resist the appeal of Wikki Stix, which is what makes your child come back for more every time. 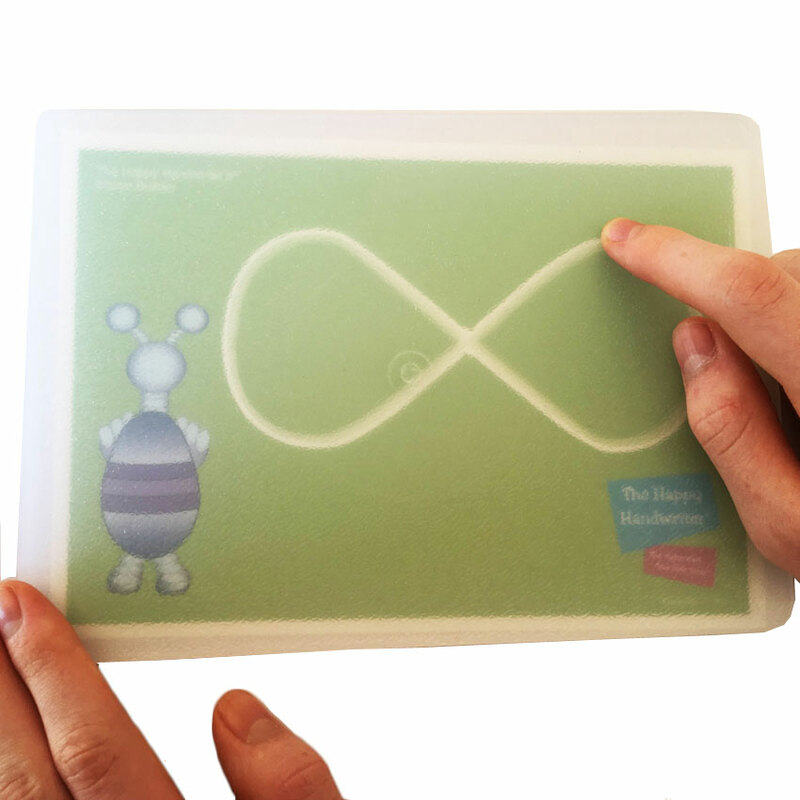 The Texture Board with its textured surface, allows your child to receive additional tactile input when tracing over the shape. From there you may progress to drawing the shape in the Shape Builder Book using the Block Crayons. These are ideal as they do not require your child’s pencil grip to be optimally established before working on the establishment of forms. The shapes are then upgraded to building on the dot guides rather than the complete form. The book comes with reproducible rights so you may copy multiple sheets for your child to draw on. The children love the colorful Aliens and working with Wikki Stix always sets their world on fire! 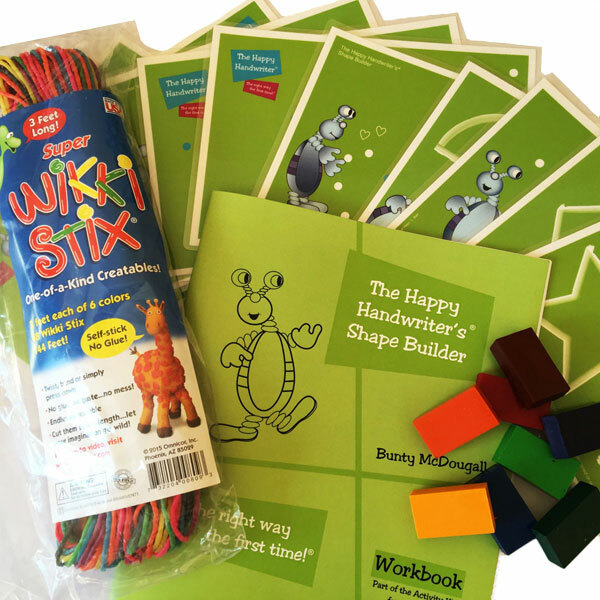 The package conveniently bundles the Shape Builder cards, the Texture Board, the Shape Builder Book and the Block Crayons so you have everything you need to get started on this pre-handwriting skill immediately. 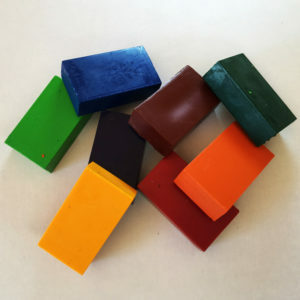 Purchase this unique resource today to set your child on the path to the establishment of shape reproduction which will prepare them for future handwriting while having oh so much fun!